Medication can be very helpful for children during a time of sickness. However, medicine can also be harmful if it is not used correctly. A child needs their parents to help take care of their health from the time they are an infant all the way through their teen years. Children may be in need of medicine for many reasons, such as a chronic illness or simply symptom relief of a generic cold. 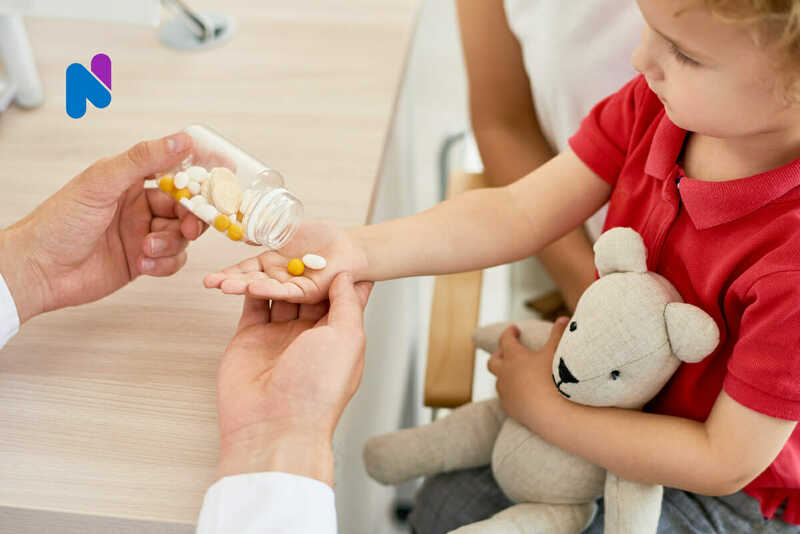 It is necessary to know when and how to use different types of medications for children to take care of their health in the best possible way. Below you can find some helpful medication safety information. Give medication safely. Follow all of the directions and read the label for each kind of medicine. Correct dose. It is important to use the proper dose when giving medicine to children of different ages. You should also know how often to give the medicine and for how long. Larger than required doses can be harmful and will not help a child feel better any faster, meanwhile smaller doses will be ineffective. Check ingredients. Know what is in the medicine and do not give multiple types of medicine with the same active ingredients, because it increases the risk for an overdose. Keep in mind that some medications should be taken along with food to improve absorption, so pay close attention to the instructions. Store medication safely. All types of medicine should be placed out of reach of children and where it cannot be seen or found. Medicine caps should be tightly sealed after every use. Child-resistant caps are great to have, but they can still be opened and therefore should be stored in a safe place. Talk to visitors about medication safety and offer to store their belongings up and away from children’s reach. Sometimes, pills can be mistaken as candy, so remember to put medicine away after every use. Know about side effects. Be wary of allergic reactions. Contact the doctor or pharmacist if you see side effects such as a rash, diarrhea, or vomiting. The most common type of medication to cause allergic reactions is antibiotics. Serious allergic reactions that cause wheezing or trouble breathing will require immediate emergency care. Communicate with caregivers/babysitters. Give clear directions to anyone giving medication to your child about what medications to give, the correct dosage, and the timing/schedule of administration. Dispose of medication properly. Medicine that is unused and/or expired should be thrown out. First, mix medicine with an unappealing substance. Next, place it in a sealable plastic bag, and then you can throw into the trash. Alternatively, you can recycle medicine by giving them to a take-back or mail-back program. Some medicine can be very dangerous still and should be flushed down the drain and not thrown away. Check the label for any instructions on disposal. Discuss medication safety with your children. Explain to your child how medicine should only be handled and given to them by an adult. Let them know that medicine should not be taken by themselves. Lead by example. Read medicine labels and keep medicine out of their reach. Teach them the purpose of the medicine and why it is only meant for them. They should also know not to take any medication that belongs to someone else. Always seek advice from a pharmacist or your doctor if you are unsure about something or have questions about your child’s medication. If your child has a chronic illness and could benefit from the help of a Private Duty Nurse, NurseRegistry can help. We offer Pediatric Care services to infants, children and young adults. We can provide medication management services and wellness visits to ensure the health and wellbeing of your child, or respite care to allow you the opportunity to take a break and recharge. Give us a call at (650) 462-1001 to learn how NurseRegistry can support your family. The FDA offers educational resources that ensure the safe use of medicine. Find more about medication safety at the Institute For Safe Medication Practices website. A list of resources can be found at ConsumerMedSafety.org.